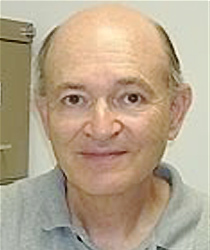 Edward Ott is a Distinguished University Professor in the Department of Electrical and Computer Engineering and the Department of Physics. He received a B.S. degree in Electrical Engineering from The Cooper Union in 1963, and M.S. and Ph.D. degrees in Electrophysics from The Polytechnic Institute of Brooklyn in 1964 and 1967. He was an NSF Postdoctoral Fellow at Cambridge University from 1967-1968. In 1968 he joined the faculty of Electrical Engineering at Cornell University, and took up his current position at the University of Maryland in 1979. Dr. Ott has also held visiting appointments at the Naval Research Laboratory and the Institute for Theoretical Physics at UCSB. Dr. Ott's current research is on the basic theory and applications of nonlinear dynamics. Some of his current research projects are in wave chaos, dynamics on large interconnected networks, chaotic dynamics of fluids, and weather prediction. Dr. Ott is an author of over 300 papers published in scientific journals, and is also the author of the book, `Chaos in Dynamical Systems' (Cambridge University Press). He has been listed by the Institute for Scientific Information as one of the world's 100 most cited physicists. Machine learning, and more specifically reservoir computing, offers an effective potential means for model-free prediction of large spatiotemporally chaotic systems. Ott discusses being awarded the Jürgen Moser Lecture Prize in 2017. ECE Professor recognized for "breadth, depth and vitality of his investigations of nonlinear dynamical systems"
Students present their summer research accomplishments to judges at annual fair. Hemmady was recognized by the IEEE Albuquerque Chapter for his work in High Power Microwave (HPM) effects. ECE grad student wins poster competition at UMD symposium on research, entrepreneurship.